Czech aerospace companies are waiting for the anti-Russia sanctions to be lifted in order to expand cooperation with Russia. ZHUKOVSKIY (Sputnik) — Czech aerospace companies are already in touch with the Russian companies, and look forward to anti-Russia sanctions lifting to further expand cooperation, Libor Hanus, the director of Russia Operation at the CzechInvest, Investment and Business Development Agency under the Ministry of Industry and Trade, told Sputnik Tuesday. "Russia and the Czech Republic are very connected because of our history, the aerospace industry is the area, where we traditionally cooperate. Each Czech company that is showcased at MAKS air show has to deal with the sanctions. All these companies in fact are already in touch with their Russian partners as they want to go deeper and expand cooperation and the sanctions are obvious is the main obstacle. We hope sanctions to be lifted at some point," Hanus said. The director noted that International Aviation and Space Salon MAKS-2017 was attended by multiple companies of the Czech aerospace industry, including aircraft and engines' producers. 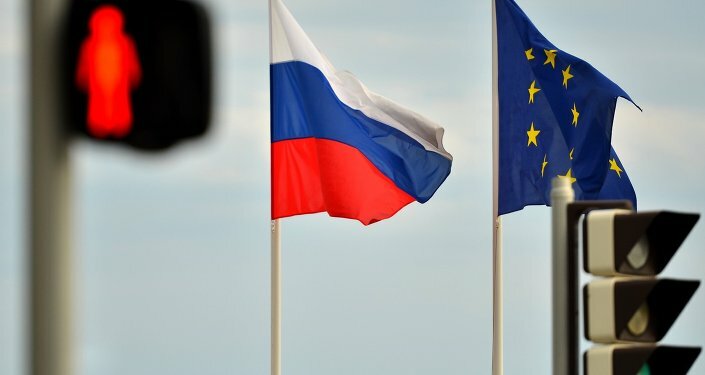 "CzechInvest came here in order to evaluate the interest of the foreign countries and to find investors on the Russian market and among the Russian companies, which would like to invest in the Czech Republic Airspace industry," Hanus said, adding that on Wednesday, the agency should hold several meetings with prospective Russian investors on the sidelines of the air show through its novelty matchmaking system. The 13th International Aviation and Space Salon MAKS-2017 kicked off on Tuesday in the Russian city of Zhukovsky and will last through Sunday. Relations between Russia and the West deteriorated over the situation in Ukraine. The Western countries imposed sanctions against Russia, citing Moscow's alleged interference into Kiev's internal affairs.